Can I take Prozac and alcohol? Prozac is one of the most widely prescribed drugs for anxiety and depression. Prozac is an anti-depressant drug based on the generic drug called fluoxetine. It belongs to the class of drugs known as Serotonin Re-Uptake Inhibitors, or SSRI’s. The SSRI family of drugs are designed to act on the neurotransmitters and to regulate the chemical balance of hormones in the brain. Prozac is widely acknowledged to be safe and effective at controlling the effects of anxiety and depression for most people. There are few side effects, and offers immediate relief for people who suffer from anxiety, fear, panic attacks and depression. However, SSRI’s are powerful acting chemicals that control important functions within the brain, so that does not mean that Prozac is free from risks. What is the risk: Can I take Prozac with alcohol? 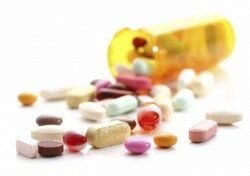 There is a risk when taking any drug that may interact with prescribed medication. In fact there is a very real risk that Prozac may interact with alcohol. It is strongly recommended that people taking Prozac avoid drinking alcohol when prescribed this medication. In fact, the same advice applies to nearly all of the anti-depressant medications on the market, and in particular the SSRI medications. Is there a problem: Can I take Prozac with alcohol? The reason there is a problem with alcohol is because it acts as a depressant on the central nervous system. The depressant effects of alcohol can clash with the effects of the anti-depressant medication. No matter whether you drink a lot of alcohol or just a little, there is an interaction between the drugs if we take Prozac with alcohol. The interaction between these two opposing chemicals can have a wide range of effects on the brain. One of the features that Prozac and alcohol have in common is that they both slow down the brain and reaction times. Both chemicals tend to increase drowsiness, and impair motor functions. When combined, Prozac and alcohol can cause sever impairment to decision making skills, judgement skills, alertness and coordination. Because these impairments occur within the brain, the person may not fully be aware of the problem with taking Prozac and alcohol until it is too late. But we need to be aware that there are even more serious side effects of mixing Prozac and alcohol. Even though we believe that alcohol is good for relaxation, that is not necessarily the case. In the short term, alcohol causes us to lose our inhibitions, feel more sociable, and become less anxious. But in the longer term, the opposite actually happens. Alcohol can actually cause anxiety, or increase the severity of anxiety attacks. The short term relief that we feel from drinking alcohol never lasts, and the problems always come back. In fact, drinking alcohol only suppresses our feelings of anxiety temporarily, and those suppressed emotions often come back worse than before. Because alcohol is actually a depressant to the central nervous system, it can cause anxiety and depression. The problem when we mix alcohol and Prozac is that the two chemicals have opposing reactions. Prozac acts to suppress feelings of anxiety, fear and anger. When we drink too much alcohol, it acts in the opposite direction and increases our anxiety and depression. Alcohol can prevent the Prozac from working effectively. So the anti-depressant effects of taking Prozac can be diminished, and the depressant effects of alcohol can increase. Therefore, even though you may not realize the problem, drinking alcohol can interfere with the effects of the medication. There is a risk of negative consequences if you take Prozac with alcohol. The problem with taking effective medication such as Prozac is that we forget how bad it felt before taking it. When we benefit from the positive effects of the medication, we can also forget the guidelines for taking it in the first place. The facts are that we should never take Prozac with alcohol, drugs or other medications without advice from a doctor. The effects of alcohol on anxiety and depression are known and understood. But there are always differences from one person to another, especially when mixed with other medication, such as Prozac. The effects of alcohol on anxiety and depression can be severe because we tend to form a habit when drinking alcohol. Over a long period of time, alcohol can become a bad habit that causes problems. Yet it can be a difficult habit to break. The big take away point is that alcohol does not reduce anxiety and depression – it can make the problems worse. Don’t be tempted to resort to alcohol if you feel sad or depressed. Drinking alcohol will only suppress the problems temporarily, and they always come back. There are better ways to treat anxiety and depression than by self medicating with alcohol. Can I stop taking Prozac when I drink alcohol? You should never suddenly stop taking Prozac without medical supervision. Neither should you attempt to delay taking the medication just so that you can drink alcohol. The effects of Prozac and other anti-depressants do not wear off immediately, and even if you delay taking the medication, the interference with alcohol can still occur. The take away point is that the when you take Prozac and alcohol, there are risks of side effects, even if you don’t take them at the same time. Summary – Can I take Prozac and alcohol? It is recommended that you avoid drinking alcohol when you take medication such as Prozac, or other SSRI drugs. Put simply, it is not safe to drink alcohol when you take Prozac. Even the US Food and Drug Administration (FDA) recommends to avoid alcohol when taking Prozac. Without a doubt, there can be negative consequences with the interactions between Prozac and alcohol. If you take Prozac and continue to have cravings for alcohol, it may be necessary to seek medical advice. How can I stop drinking alcohol while taking Prozac? The good news is that when we understand the risks of taking Prozac with alcohol, there is no need to get caught unawares. If you recognize the need to continue taking Prozac or similar anti-depressant medication, then there is a way to overcome the urge to drink alcohol. Let us show you how to stop drinking alcohol.